This tour will bring you through the whole country, from north to south. 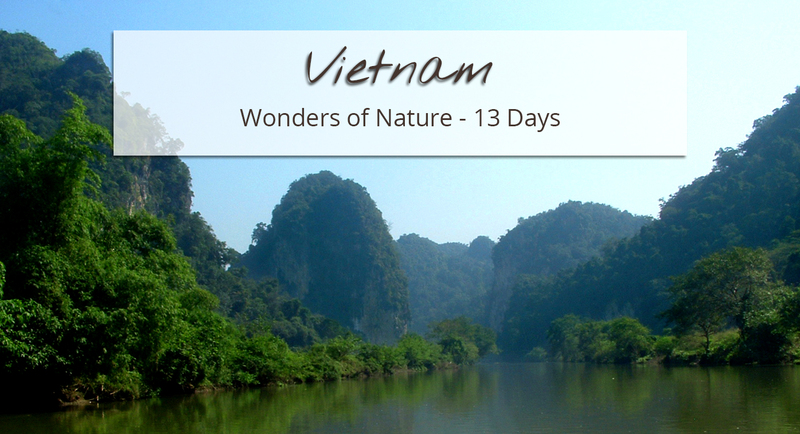 You will get to visit some of the most beautiful landscapes in Vietnam. You will land in Hanoi, the capital city, and will then head to Hoang Su Phi, best known for its amazing terraced rice fields. You will spend some time in that local environment where life remains traditional. 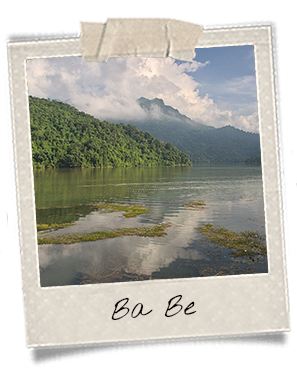 Then you will discover Ba Be National Park, “the Three Lakes,” its caves, rivers, ponds and waterfalls… A gem of nature. 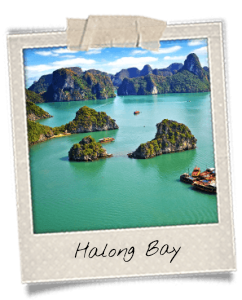 Afterwards, it will be time to cruise the Halong Bay and its famous sugarloaf mountains. You will carry on your journey in Buon Ma Thuot, in Central Highlands, before going down to Ho Chi Minh City (formerly known as Saigon) and tour the gorgeous Mekong Delta region. 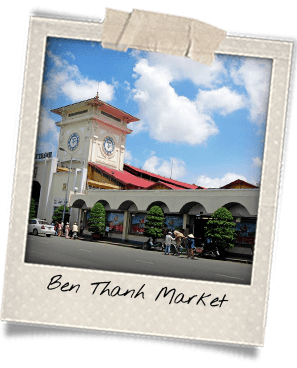 After your arrival in Hanoi, you will get a transfer to the Old Town, in the city center. 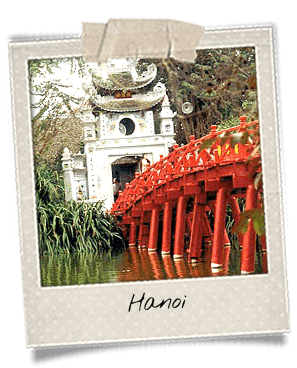 Explore Hanoi’s old streets and famous monuments: the One-Pillar Pagoda, the Temple of Literature, the Ho Chi Minh Mausoleum (exterior) and the Presidential Palace (exterior). For lunch, get a taste of the local specialty called cha ca la vong. It is a very typical dish made of fried fish seasoned with dill, a pretty rare herb in Vietnamese cuisine, and chives. You may then take a walk around the Lake of the Returned Sword (Hoan Kiem Lake) and in the 36 Streets that used to be specialized in one product or one service. Welcome dinner at Co Yen Restaurant, a place that combines northern Vietnam flavors and old quarter’s atmosphere. Overnight at the hotel. The road that leads from Hanoi to Ha Giang Province may be long but it is worth the trip: the landscapes are varied and all breathtaking. You will stop on your way to get lunch in a local restaurant. 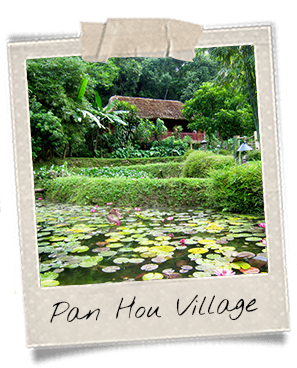 You will arrive in Pan Hou Village Ecolodge in the afternoon. The lodge is nestled in the mountainous chain of Song Chay. It was designed as a peaceful stop for travelers. For that matter, it features a spa that specializes in herbal treatments, a knowledge that comes from the Lu Mien tribe living in the area. Once at the lodge, you will get to take a stroll in the surroundings with your guide. Dinner and overnight at Pan Hou Village. Journey length: 6.5 hours from Hanoi to Ha Giang. You will go for a hike in the surrounding mountains. 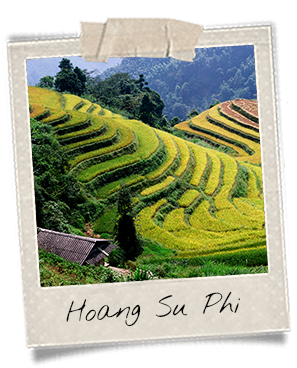 Hoang Su Phi is famous for its beautiful terraced rice fields. The terraces form gorgeous shapes on the sides of the mountains making the whole landscape very picturesque and majestic. The best time to visit Hoang Su Phi is from May to July, at the beginning of the rice culture, then from September to October when peasants harvest the golden fields. 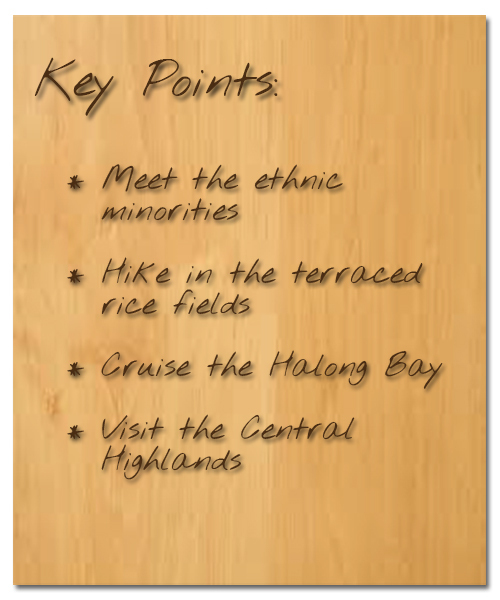 Many minority groups live in the area. 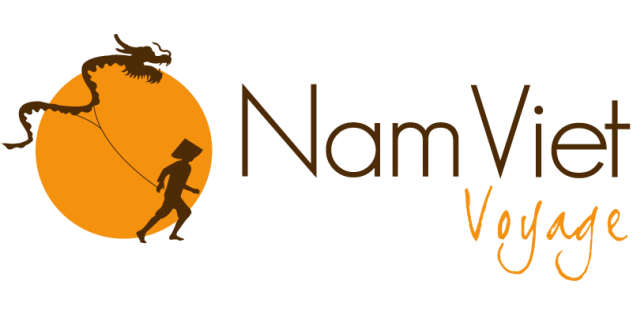 You will have the opportunity to visit a few villages, namely places where Dao and Man Ta Pan Minorities live. You will get a picnic lunch in a Tay village before carrying on your hike. You will head back to Pan Hou Village at the end of the afternoon. You will leave in the morning to reach Ba Be National Park. Its name literally translates to “3 lakes.” It is known for being a very preserved green lung in northern Vietnam. You will arrive there in the beginning of the afternoon after having stopped for lunch on the way. Once there, you will discover the park and visit Na Phong Cave. It is from that cave that the radio The Voice of Vietnam was broadcasted for 9 years during the first Indochina War. Dinner in a local restaurant. Overnight at a homestay. Journey length: 6 hours from Hoang Su Phi to Ba Be. After breakfast you will continue touring Ba Be National Park. You will hop on a bark to discover the three lakes and their small islands. 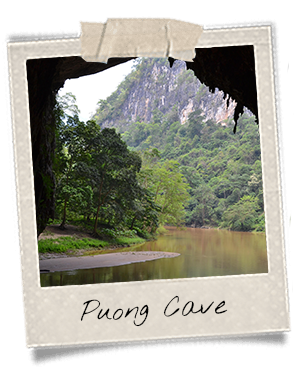 You will go through Puong Cave which is 30-meter high and 300-meter long and is home to many bat species. You will also go the Fairy Pond. Its name comes from a local legend: a hunter came around the pond and was bewitched by fairies that were there to take a dip. You will visit the beautiful village of Pac Ngoi as well where inhabitants from the Tay minority group strive to perpetuate their traditions by building traditional stilt houses. The village merges perfectly into its natural surroundings, making it a must-see while on a trip to Ba Be. 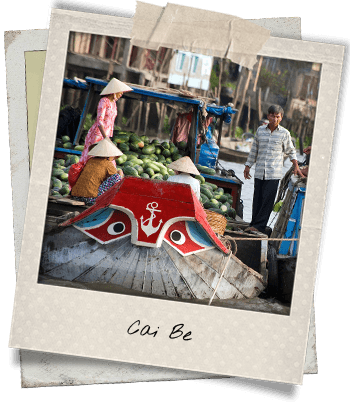 You will head to Hanoi in the afternoon in a private car. When you get there, you will have some time to walk around the Old Town before getting dinner wherever you will please. Overnight at the hotel. Journey length: 4 hours from Ba Be to Hanoi. 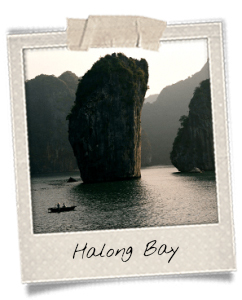 You will leave early in the morning to Halong where you will start a cruise in the majestic Halong Bay. It is known for its sugarloaf mountains coming out of the water. It comprises many caves as well as fishing villages that have been built on the surface of the sea. You will get lunch on the boat. You will continue the cruise in the afternoon. If you feel like it, you will get to go kayaking at the heart of this amazing site that has been listed as one of the New 7 Wonders of Nature. Dinner on board. Squid fishing at night. Overnight on the boat. Journey length: 3 hours from Hanoi to Halong. Wake up smoothly with a Tai Chi class on the deck of the boat. Tai Chi is a Chinese method that comes from martial arts but that involves slow and circular movements. You will spend some more time in the Halong Bay before getting a brunch and going back to the jetty. You will then get a transfer to Hanoi. At the end of the day, enjoy a foot massage. You will have some free time in the morning to take a stroll in Hanoi. Your flight to Buon Ma Thuot in the Central Highlands will take off in the beginning of the afternoon. The city is best known for its coffee which is mostly consumed locally. In Buon Ma Thuot you will visit the Dak Lak Museum of Ethnology that displays a small collection of artifacts and photographs about ethnic groups in Vietnam. The museum is located in the Bao Dai Villa which was one of the many houses that belonged to the emperor and that features some nice example of French colonial architecture. You will head to Ban Don Village in the morning. 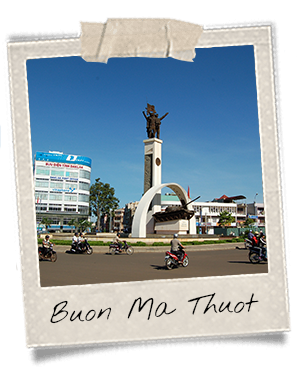 It is located about 40 kilometers from Buon Ma Thuot, very close to Yok Don National Park, Buon Don District. 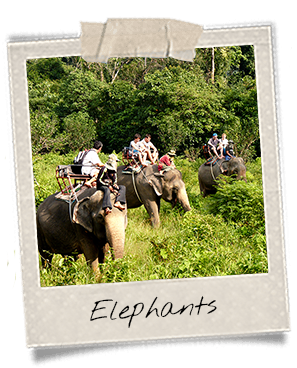 You will enjoy an elephant ride. Dak Lak Province has a very strong tradition of elephant taming. The relationship with the animals is so deep that they are considered as members of the family and of the village. That tradition still exists today but is less important. You will cross the Srepok River on a suspension bridge and visit a Lao house. Indeed, the Lao border is very close, cultures influence each other! In the afternoon, you will visit a minority village called Buon Yang Lanh. You will continue your journey further from Ban Don Village and will reach a chon coffee farm, also referred to as kopi luwak or civet coffee. Its name comes from the animal thanks to which the process is possible. The little rodent that resembles a ferret swallows coffee beans and defecates them as they are. But the enzyme produced by its intestines gives a special flavor to the coffee beans that connoisseurs like to enjoy! Dinner in Buon Ma Thuot not included. Overnight at the hotel. For your last moments in the Central Highlands, you will tour the Dray Sap Waterfalls into which the Srepok River is flowing. 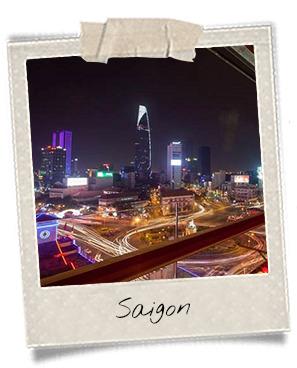 You will then get lunch in a local restaurant before flying to Ho Chi Minh City, formerly known as Saigon, the big southern metropolis. Arrival at the airport. Transfer and check-in at the hotel. Dinner not included. Overnight at the hotel. 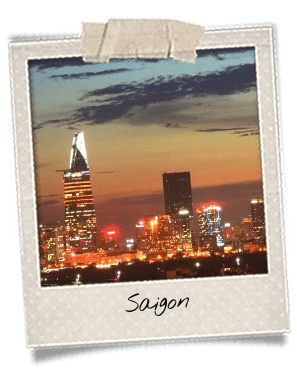 You will spend that day visiting the colonial quarter of Saigon. Among the must-see places, don’t miss Notre-Dame Cathedral, the main Post Office whose roof was designed by French engineer Gustave Eiffel, the Independence Palace and the Opera House (exterior), as well as the beautiful Dong Khoi Street (former Rue Catinat). After that, you will jump on the back of a bike and get to discover more working-class districts. You will take a glance at local Vietnamese life with its bunch of animated small alleys, street vendors and food stalls, markets… A local show that you don’t want to miss! Lunch in a local restaurant. Continue your visit in the afternoon. Since you will be in the southern part of the country, you will spend a few hours in the Mekong Delta, in Cai Be. You will visit the city and the local life by boat, the favorite means of transportation in the region! You will discover Mekong’s specialties such as coconut treats, rice paper and honey. In the afternoon, carry on your visit by boat. You will stop by fruit gardens to try local fruits. You will also attend a short traditional music show. Transfer back to Saigon. Dinner not included. Journey length: 2.5 hours from Saigon to Cai Be. Free time before getting a transfer to Saigon’s airport. Flight back.